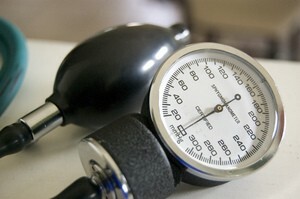 Over 73 million people in the U.S. suffer from high blood pressure. Death rates have increased over 50% since 1995. It’s not a pretty picture, especially since I’m one of the millions afflicted with this condition and quite likely you are too. Many factors are involved when a person has high blood pressure — one of which is the foods we eat. Diets high in fat or salt are examples of foods that have a negative impact. Thankfully, there are also foods that can have a positive impact. Certain foods can lower your blood pressure and should be included in your diet. It’s the least you can do to improve (or maintain) good heart health. Here’s how the DASH Diet can help to lower your blood pressure. Good news: It’s not just helpful in lowering blood pressure, but the DASH diet is also the best overall diet! In addition, there are lots of ways to control your blood pressure without medication.